It is a privilege to welcome actor David Dastmalchian to Jake’s Take. The rising performer is in his hometown of Kansas City for Planet Comicon, the city’s largest and longest-running comic book convention and pop culture expo. Mr. Dastmalchian is one of the 33 media guests that will be interacting with fans all weekend long at the Bartle Hall Convention Center. Over the past few years, Mr. Dastmalchian has appeared on numerous television shows such as 12 Monkeys, Almost Human, CSI, CSI: Cyber, and MacGyver. Comic book aficionados may also recognize him for his portrayals of Abra Kadabra on CW’s The Flash, Dwight Pollard from FOX’s Gotham, Thomas Schiff from The Dark Knight, and Kurt from Ant-Man. 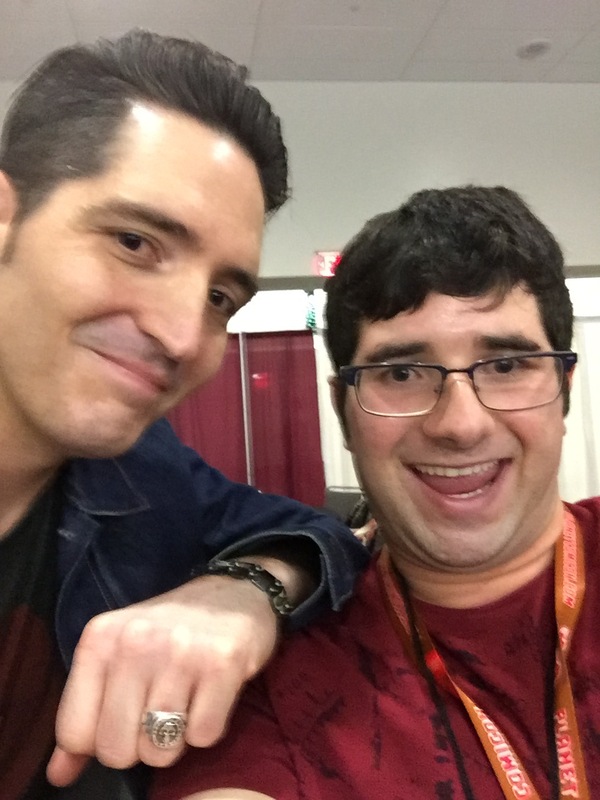 Before Mr. Dastmalchian headed over to Celebrity Row to interact with the Planet Comicon attendees, he participated in a very special Planet Comicon edition of The Five Question Challenge. Jacob Elyachar: This is your first time attending Planet Comicon as a media guest. Do you have any expectations for this weekend? David Dastmalchian: I have no expectations other than to have a blast. It seems like the geek culture here in Kansas City is thriving, which is awesome. When I was growing up in Kansas City, I first discovered my love of comic books through Clint’s Comics, and it is awesome to be back home to celebrate geek culture with everyone. JE: What are your favorite parts about attending comic book conventions? DD: I enjoy coming to comic book conventions. These are places for people who are passionate about comics, film, television, and gaming, who can meet and let their freak flags fly, be themselves and celebrate our love of heroes, science fiction, and fantasy. JE: Speaking of heroes, you have had the distinct opportunity to appear in two different superhero films representing DC Entertainment and Marvel Comics. How you do think Hollywood is doing bringing superheroes to the silver screen? DD: It is so cool that you can now go to a movie theater almost every month and see another epic superhero tale brought to the big screen and it never gets boring. It is just like comic books, every time I went to Clint’s; I got new comics that feature Batman and the Avengers. The stories keep going, and that is the beautiful thing about serialized storytelling. JE: What are some of your favorite memories attending a comic book convention? DD: The first convention that I ever went to was the 2012 San Diego Comic Con. I was promoting a film that I did called Sushi Girl, which featured an incredible grow of actors including Mark Hamill. I will never forget walking into the main hall with Mark to do our panel and seeing the joy and excitement that all of his fans had seeing him there. It was an incredible moment that I will not forget. JE: If you had the chance to meet with your fans and they stated that they want to work as actors in the entertainment industry, what advice would you share with them? DD: My advice to everyone who has a big dream such as working as an actor, comic book writer, screenwriter, director or whatever your dream or passion is “do not give up on it.” You are going to face rejection time and time again, and if you can find a way to turn that rejection into the fuel that burns your fire, then you are going to find success.